We’re sorry, this offer has expired! 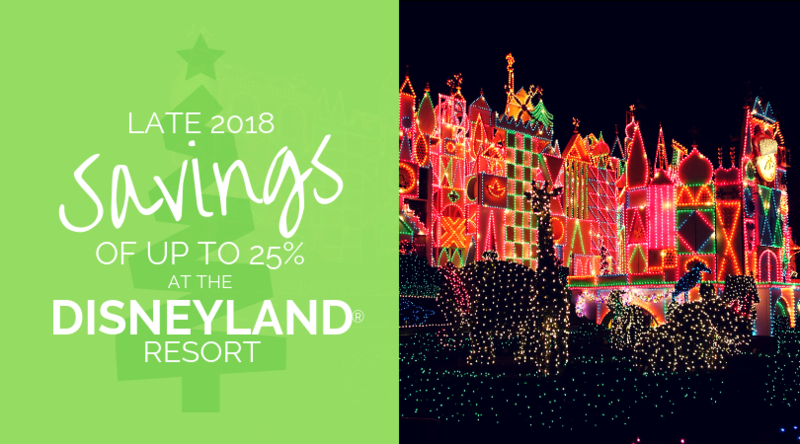 Savings shine bright at the Disneyland® Resort! 2016 is the perfect time to visit Disneyland® Park as they continue their 60th Anniversary Diamond Celebration! From meeting real Disney Princesses inside Fantasy Faire to a journey of imagination with Mickey and the Magical Map, your vacation to the Disneyland® Resort will be full of memories that are guaranteed to last a lifetime. 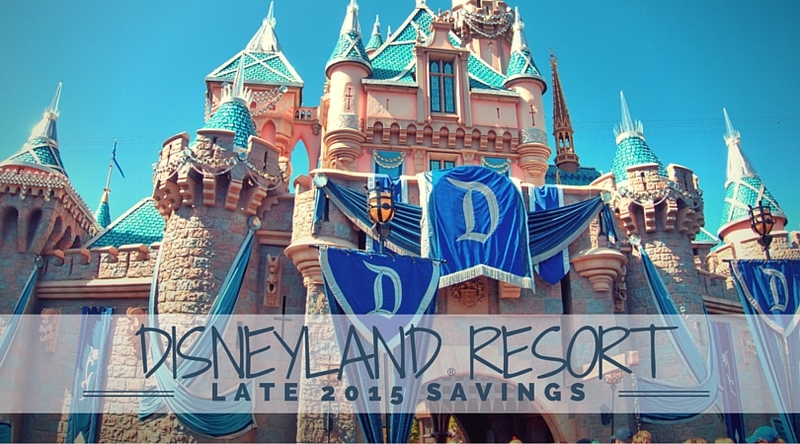 And now, you can save on your upcoming stay at one of the three Disneyland® Resort Hotels! Stay at a Disneyland® Resort hotel most Sun. – Thu. nights from Apr. 3–Jun. 16, 2016, and save up to 20%! Availability is limited, so contact your Magic Maker® today! Savings based on the non-discounted price for the same room at the same hotel for most Sunday through Thursday night stays. Travel must be completed by June 17, 2016. Savings on premium rooms are available on Premium, Deluxe and Woods/Garden/Courtyard rooms; select Concierge rooms; and Paradise, Artisan and Regal suites. Additional savings may be available on other hotels and room types. Not valid on previously booked rooms. Advance reservations required. Subject to availability as the number of rooms allocated for this offer is limited. Excludes applicable fees and taxes. Limit two (2) rooms per reservation and five (5) people maximum per room. Not valid in combination with any other hotel discounts or offers. Subject to restrictions and change without notice. Separate theme park admission required to enjoy the parks. The Disneyland® Resort Diamond Celebration is in full swing – celebrating 60 spectacular years since the opening of the Disneyland® Park! And now, you can save on your upcoming stay at Disney’s Grand Californian Hotel® & Spa or the Disneyland® Hotel! Stays select Sun. – Thu. nights Oct. 25 – Dec. 17 with travel completed by Dec. 18, 2015. Some blockout dates apply. Savings based on the non-discounted price for the same room at the same hotel for most Sun. – Thu. nights. Valid for travel between 10/25-12/17/15. Book from 9/9-11/18/15, with travel completed by 12/18/15. Savings on Premium rooms are available on Premium, Deluxe and Woods/Garden/Courtyard rooms; select Concierge rooms; and Paradise, Artisan and Regal Suites. Ask about savings on other hotels and room types. Not valid on previously booked rooms. Advance reservations required. Subject to availability as the number of rooms allocated for this offer is limited. Excludes applicable fees and taxes. Limit two (2) rooms per reservation and five (5) people maximum per room. Not valid in combination with any other hotel discounts or offers. Subject to restrictions and change without notice. Separate Theme Park admission required to enjoy the Parks. This offer is no longer valid. Please click here to view all current Disneyland® Resort specials. 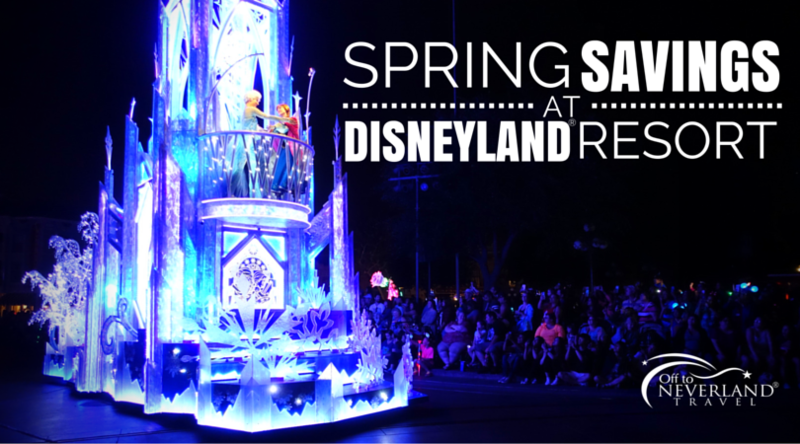 Make the Disneyland® Resort in sunny Anaheim your Spring Break destination. You can save up to 25%* on most stays Sun-Thu night at one of the Hotels of the Disneyland® Resort for arrivals Mar. 1-29, 2012. Also, for arrivals most nights Mar. 30 – Apr. 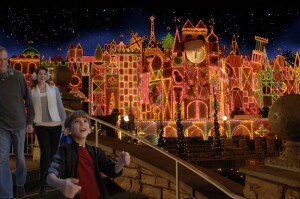 14, 2012, Save 25%* on a stay at Disney’s Paradise Pier® Hotel. Mar. 1-10, 2012, save 20% off a room-only reservation most Fri-Sat nights, or save 25% off a room-only reservation most Sun-Thu nights. Mar. 11-29, 2012, save 25%* off a room-only reservation most Sun-Thu nights. Mar. 30 – Apr. 14, 2012, save 25%* off a room-only reservation most nights. Mar. 1-10, 2012, save 15% off a room-only reservation most Fri-Sat nights, or save 20% off a room-only reservation most Sun-Thu nights. March 11-29, 2012, save 20%* off a room-only reservation most Sun-Thu nights. Book this offer now – Mar. 11, 2012 for arrivals Mar. 1 – Apr. 14, 2012. Travel on this offer must be completed by Apr. 15, 2012. Be sure to ask your Magic Maker® about adding Disney Character Dining and Disneyland® Resort Theme Park tickets to your reservation. *Savings based on the non-discounted price for the same room at the applicable hotel on the indicated dates. Offer valid for arrivals most nights from Mar. 1, 2012 through Apr. 14, 2012. Offer is valid when booked between Jan. 17, 2012 and Mar. 11, 2012. Travel must be completed by Apr. 15, 2012. Applies only to standard and concierge level rooms and not valid with previously booked rooms. Excludes applicable taxes and fees. Advance reservations required. Subject to availability as the number of rooms allocated for this offer is limited. Limit two (2) rooms per reservation and five (5) people maximum per room. Not valid in combination with any other hotel discounts or offers. Subject to restrictions and change without notice. You can save $300* on a 4-day, 4-night Disneyland® Resort vacation package. This package features a 4-day Disneyland® Resort Park Hopper® Souvenir Ticket, which is your passport to two amazing Theme Parks filled with all-time favorite attractions, shows and more. It’s the perfect way to experience either Halloween Time at the Disneyland® Resort or Holidays at the Disneyland® Resort. Save $300* on a Walt Disney Travel Company 4-day, 4-night Disneyland Resort vacation package that includes a 4-Day Disneyland® Resort Park Hopper® Souvenir Ticket. This offer is available for arrivals Oct. 1 – Nov. 23, 2010 and Nov. 27 – Dec. 16, 2010. Travel on this offer must be completed by Dec. 20, 2010. 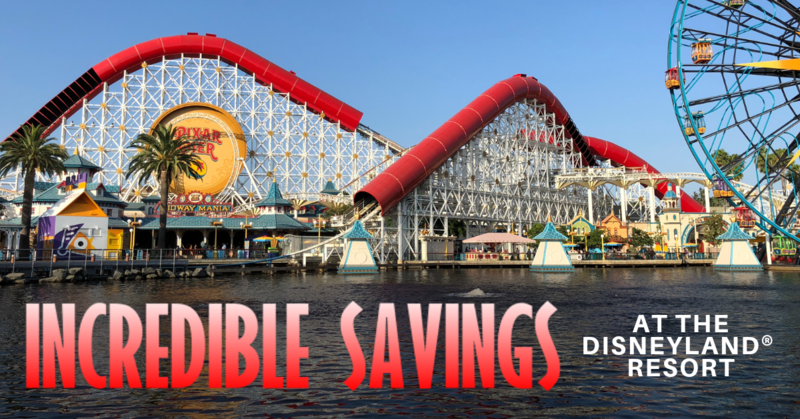 *$300 savings is based on the non-discounted price for the same 4-night package, with 4-Day Disneyland® Resort Park Hopper® Souvenir Tickets, at a Disneyland® Resort hotel for a family of four (3 adults and 1 child (age 3-9). Offer is valid for bookings from 8/17/10 through 12/1/10 and for arrivals from 10/1/16 through 12/16/10 with travel being completed by 12/20/10. Not valid for previously booked rooms or for suites. Check for offers associated with different package lengths of stays. The Disneyland® Resort Park Hopper® Souvenir Tickets expire 13 days after first use or 12/29/10, whichever occurs first, and each day of use of a ticket constitutes one full day of use. Tickets may not be sold or transferred for commercial purposes. The number of rooms allocated for this package may be restricted and are subject to the block-out dates of 11/24/10 – 11/26/10; advance reservations required. Not valid with group rates or any other discount or promotion. Excludes taxes. Subject to restrictions and change without notice.